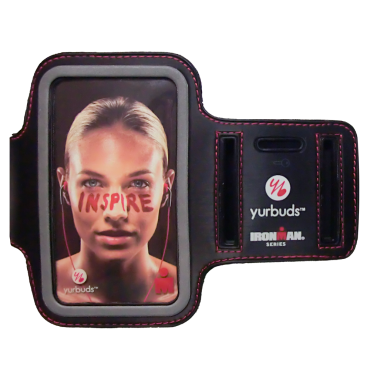 The Yurbuds Ironman Armband is the perfect companion to any set of Yurbuds Earphones. The armband is manufactured from an ultra-soft neoprene material that stretches to give a secure fit while staying comfortable. Our armband fits a majority of smart phones and music players and keeps them safe from sweat and moisture. It also includes a YurSafety ID which is a custom engraved key that has secondary contact information and important medical notes in case of an emergency.